We visited a rarity in Bangladesh: an elderly care centre, partly privately sponsored and mostly paid for by the families of the people that live there. There are six buildings with 20 residents, women with women and men with men. We portrayed four of their residents. 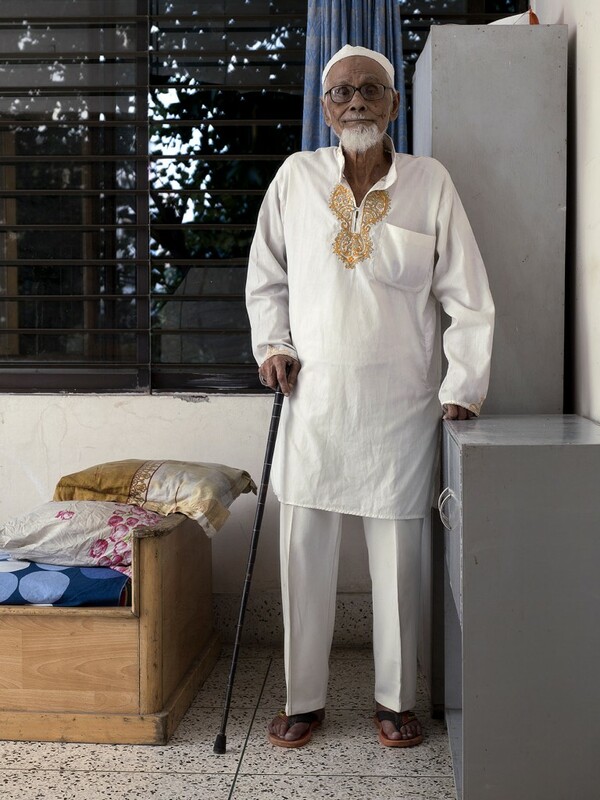 This is Abu Musa, 93 years. During the 1947 partition, he was the secretary of Subash Chandra Bose. He used to work in India. He was of the family of estate lords and thus when he came to Bangladesh, he inherited a lot of property but lost most of it to other relatives. Has one single daughter who lives in France. His wife died and then he used to live with his other relatives but when his daughter visited from France she found that her father was not being taken care of well and then he was taken to the care center by his daughter. It has been 1.5 years that he lived here.